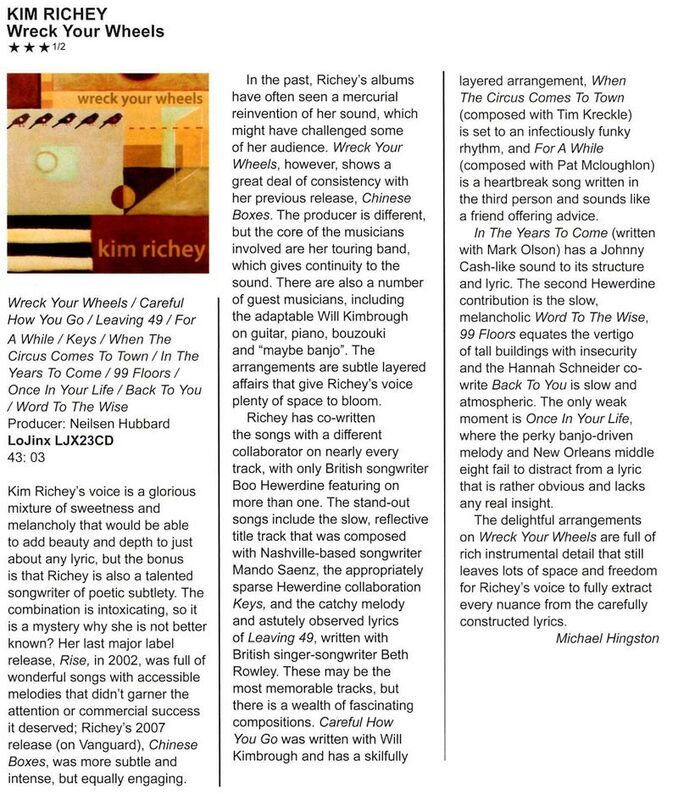 "what is it about Kim Richey that makes her so listenable?" 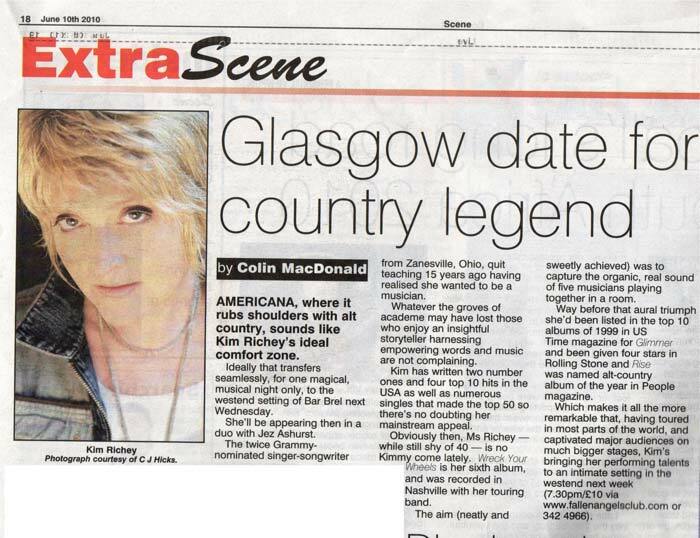 "her songwriting talents remain undiminished"
"a glorious mix of sweetness and melancholy"
"Richey returns to her Americana roots"
"a quality to the songwriting that will reward"
"a talent that is increasingly moving further away from her musical roots and defying the musical labels put upon her"
Is it Britney Spears? Is it McFly? Is it Foreigner? "Jez Ashurst can capture the human condition beautifully"
"no slackers when it comes to crafted pop"
"sparky charm and a love for solidly crafted pop classicism"
"this album will actually make your life better"
"undeniably catchy, Fix is an impressive vocalist and a witty lyricist "